When the Civil War began, Harriet Tubman had already been a freedom fighter for more than a decade. 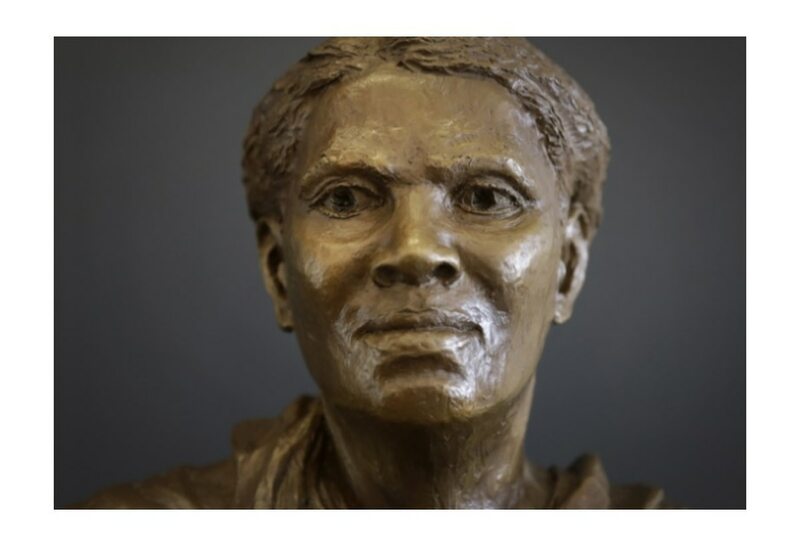 As a renowned abolitionist and intrepid Underground Railroad conductor who went into slave territory to lead refugees to safety in the North and Canada, she had undertaken numerous clandestine and dangerous rescues. Tubman wasn’t afraid of assisting her escaped brothers and sisters either. In 1860 she helped liberate runaway slave Charles Nalle from a slave catcher in Troy, N.Y. Shortly after Abraham Lincoln’s call to arms in April 1861, Tubman realized that joining forces with the Federal military would increase her effectiveness in the fight against slavery, and she volunteered for duty. She enrolled first as a nurse, and then expanded her efforts to serve as a scout and spy for the Union in occupied South Carolina. Her role as an American patriot is undisputed, but her service as a war hero was challenged at the time. Over the years scholars and schoolchildren have begun to recognize her significant contributions to guaranteeing Union victory in the Civil War. Born in 1825 to enslaved parents on Maryland’s Eastern Shore, the young Araminta, her birth name, was severely challenged. Tubman later lamented: “I grew up like a neglected weed, ignorant of liberty, having no experience of it.” In 1849, when she heard a rumor that her owner was planning to “sell her down the river,” as siblings before her had been exiled to the Deep South, she decided to escape, to make her own journey to freedom. In doing so, she was leaving her brother, sisters and parents behind and also deserting her husband, John, a free black, who refused to leave with her. 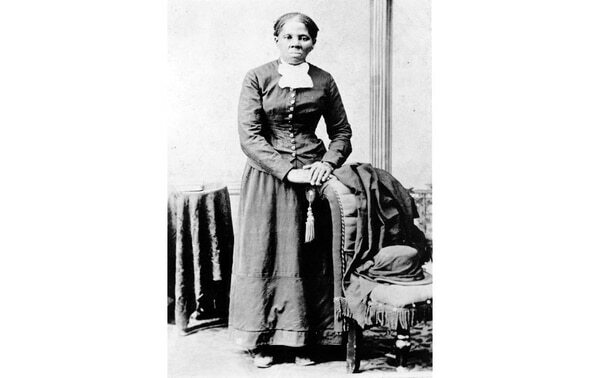 Before she undertook the journey, she assumed her mother’s name, Harriet, and her husband’s last name, Tubman. Her experience during the Civil War is a bona fide part of her legacy. Based on the information procured by Tubman’s agents, Colonel Montgomery led a successful expedition to capture the town. Tubman’s crucial intelligence and Montgomery’s bravado convinced commanders that other extensive guerrilla operations were feasible. Their confidence led to the Combahee River Raid in June 1863 — a military operation that marked a turning point in Tubman’s career. Until then, all of her attacks upon the Confederacy had been purposefully clandestine. But she did not remain anonymous with her prominent role in that military operation. Tubman had been informed of the location of Rebel torpedoes — floating mines planted below the surface of the water — in the river and served as a lookout for the Union pilots, allowing them to guide their boats around the explosives unharmed. By 3 a.m., the expedition had reached Fields Point, and Montgomery sent a squad ashore to drive off Confederate pickets, who withdrew but sent comrades to warn fellow troops at Chisholmville, 10 miles upriver. Robbing warehouses and torching planter homes was an added bonus for the black troops, striking hard and deep at the proud master class. The horror of this attack on the prestigious Middleton estate drove the point home. Dixie might fall at the hands of their former slaves. The Confederates reportedly stopped only one lone slave from escaping — shooting her in flight. Hard charging to the water’s edge, the Confederate commander could catch only a glimpse of escaping gunboats, pale in the morning light. In a fury, Confederate Major William P. Emmanuel pushed his men into pursuit — and got trapped between the riverbank and Union snipers. In the heat of skirmish, Emmanuel’s gunners were able to fire off only four rounds, booming shots that plunked harmlessly into the water. Frustrated, the Confederate commander cut his losses after one of his men was wounded and ordered his troops to pull back. More than 750 slaves would be freed in the overnight operation on the Combahee. Federal commanders came to depend on her, but kept her name out of official military documents. As a black and a woman she became doubly invisible. This invisibility aided her when Union commanders sent her as far south as Fernandina, Fla., to assist Union soldiers dropping like flies from fevers and fatigue. Robbing the “Cradle of Secession” was a grand theatrical gesture, a headline-grabbing strategy that won plaudits from government, military and civilian leaders throughout the North. After the Combahee River Raid, critics North and South could no longer pretend that blacks were unfit for military service, as this was a well-executed, spectacularly successful operation. Flushed with triumph, Hunter wrote jubilantly to Secretary of War Stanton on June 3, boasting that Combahee was only the beginning. He also wrote to Governor Andrew, promising that Union operations would “desolate” Confederate slaveholders “by carrying away their slaves, thus rapidly filling up the South Carolina regiments of which there are now four.” Andrew had been a champion of black soldiers, a steadfast supporter of Hunter’s campaign to put ex-slaves in uniform. The Confederacy discovered overnight what it took the Union’s Department of the South over a year to find out — Harriet Tubman was a formidable secret weapon whose gifts should never be underestimated. Federal commanders came to depend on her, but kept her name out of official military documents. As a black and a woman she became doubly invisible. This invisibility aided her when Union commanders sent her as far south as Fernandina, Fla., to assist Union soldiers dropping like flies from fevers and fatigue. In 1897 a petition requesting that Congressman Sereno E. Payne of New York “bring up the matter [of Tubman’s military pension] again and press it to a final and successful termination” was circulated and endorsed by Auburn’s most influential citizens. Payne’s new bill proposed that Congress grant Tubman a “military pension” of $25 per month — the exact amount received by surviving soldiers. A National Archives staffer who later conducted research on this claim suggested there was no extant evidence in government records to support Tubman’s claim that she had been working under the direction of the secretary of war. Some on the committee believed that Tubman’s service as a spy and scout, supported by valid documentation, justified such a pension. Others suggested that the matter of a soldier’s pension should be dropped, as she could more legitimately be pensioned as a nurse. One member of the committee, W. Jasper Talbert of South Carolina, possibly blocked Tubman’s pension vindictively — it was a point of honor to this white Southern statesman that a black woman not be given her due. Regardless, a compromise was finally achieved, decades after she had first applied for a pension based on her service. In 1888, Tubman had been granted a widow’s pension of $8 a month, based on the death of her second husband, USCT veteran Nelson Davis. The compromise granted an increase “on account of special circumstances.” The House authorized raising the amount to $25 (the exact amount for surviving soldiers), while the Senate amended with an increase to only $20 — which was finally passed by both houses. This article originally appeared in Civil War Times Magazine, a Military Times sister publication. For more information on Civil War Times Magazine and all of the HistoryNet publications, visit HistoryNet.com.